I am delighted and honored to be the 2019 recipient of the Altman Award from the Japanese Neuroscience Society. Drs. Altman and Bayer’s work on adult neurogenesis were influential in my graduate training as a stem cell biologist thus were essential to the establishment of my scientific career. My laboratory studies the role of non-neuronal cells in the development of the brain, with a particular interest in how these cells interface with the innate immune system during synapse development. Defects in synaptic homeostasis underlie many neurodevelopmental diseases including autism, epilepsy, and schizophrenia. While clinical data implicate the immune system in neurodevelopmental diseases, the mechanistic basis for this link is not well understood. Glia, including astrocytes and microglia, are abundant in the developing and adult brain, and are the first responders to stress and perturbation. Our lab uses transcriptomics, imaging, and other tools to study the role of glial cells and innate immune signals in brain development and synapse homeostasis. 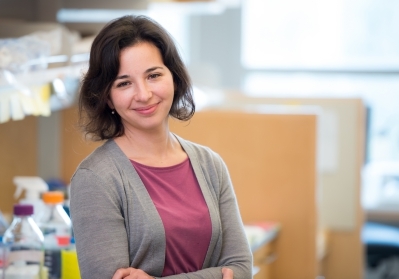 In one recent study, we have found that astrocytes are a major source of tissue resident cytokines during brain development, including the IL-1 family member Interleukin-33 (IL-33), which can promote homeostatic tissue remodeling in other systems, and is enriched in the gray matter of the brain, where most synapses are located. Microglia, the professional phagocytes of the brain, have been shown to engulf synapses during development, and are the primary cells expressing cytokine receptors including the IL-33 receptor IL1RL1. We have found that astrocyte-derived IL-33 promotes microglial synapse engulfment and is required for developmental synaptic homeostasis and neural circuit function. These data implicate a key innate immune pathway in the physiologic regulation of synapse numbers. 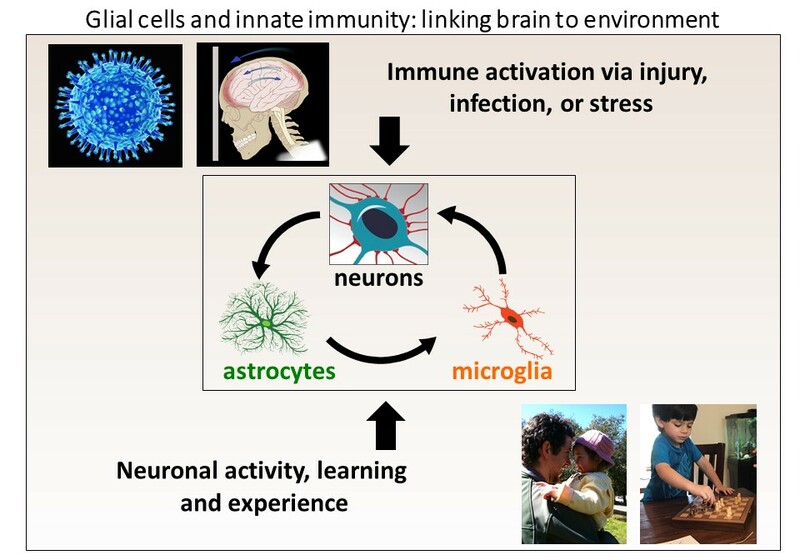 Our laboratory continues to explore the adaptive roles of immune activation during the synapse and circuit remodeling that happens during brain development, learning, and in response to stress or injury. Our goal is to one day develop tools to induce beneficial synaptic remodeling in neuropsychiatric diseases. 2015- Assistant Professor, UCSF Department of Psychiatry, San Francisco, CA. 1994-1998 B.A, Amherst College, Amherst, MA, USA. 1999-2007 M.D./Ph.D., University of Michigan, Ann Arbor, MI, USA. 2008-2015 Residency in Psychiatry and Postdoctoral Fellowship, University of California, San Francisco, USA.